Welcome to Wyck Farm! A quaint neighborhood nestled just off Gordon Road. 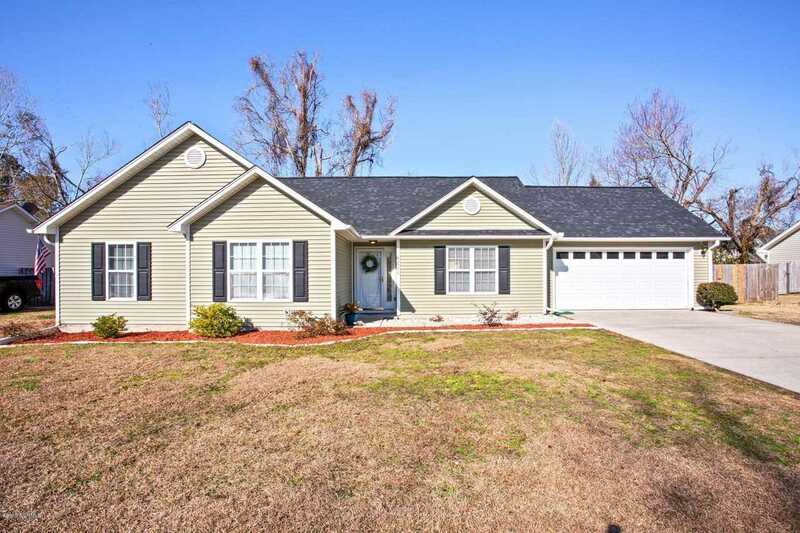 Highlights of this home include new roof, privacy fence, updated kitchen with granite and tile backsplash. Enjoy the cafe style breakfast bar surrounded by built-ins and extra cabinet space! Host family meals in the dining room that overlooks the open living room and the spacious backyard perfect for afternoon BBQ's! Laminate hardwoods throughout, a spacious owner's suite with ensuite bathroom and walk-in closet! Minutes from Wilmington's premier shopping and dining corridor,Military Cutoff Road, the pristine shoreline at Wrightsville Beach, and local restaurants! Directions:From Market Street, turn left onto Gordon Road and left onto Wyck Farm Way. The home will be on your right. SchoolsClick map icons below to view information for schools near 6821 Wyck Farm Way Wilmington, NC 28405.